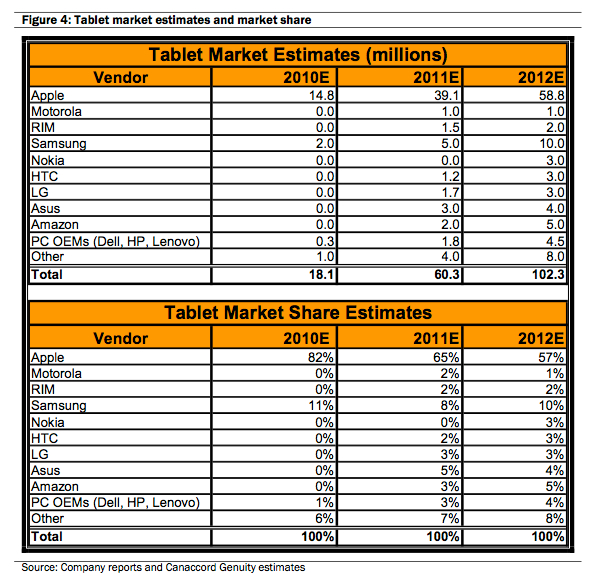 With its competitors unable to field a true iPad rival, Apple’s tablet continues to dominate the market that it created. 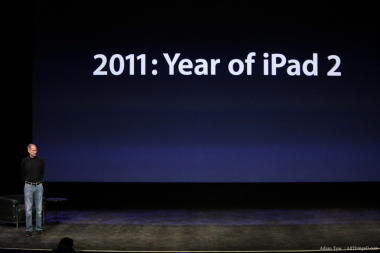 The company sold 11.1 million iPads in the September quarter, accounting for about three-quarters of all tablets sold to consumers. And with a true competitor yet to emerge, that dominance will likely persist for some time, further reinforced by the upcoming holiday shopping season. That’s a lot of iPads. And keep in mind that the December quarter will see the debut of Amazon’s new Kindle Fire tablet, which some view as a challenger to the iPad, though Walkley doesn’t see it that way. It’s looking more and more like Apple’s iPad will follow the same story arc as the iPod, achieving and maintaining market dominance despite its high-end product trappings.